This self guided cycling tour takes you into the real heart of Cilento National Park and then on to the iconic Amalfi coastline. Starting at ancient Paestum you'll discover landscapes, towns and villages that are largely undisturbed by the 21st century. You will encounter few other tourists along your way and will pedal past world-famous cultural sites, through pristine natural areas and dreamy coastal scenery. 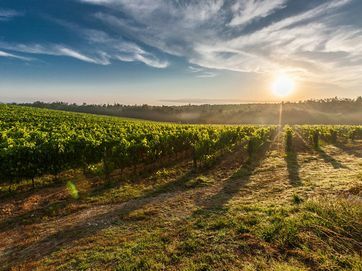 Your tour will take you on small country roads passing through rough mountain scenery, as well as attractive countryside, with vineyards and olive groves. Combine five days of cycling with a few nights on the iconic Amalfi Coast. Considered by many as Italy's most beautiful coastline you can rent E-Bikes or enjoy amazing walks along the dramatic coastal paths. During the majority of the tour you will stay close to the coast, so you’ll have many opportunities for a swim or to simply relax on an empty beach. After arriving at the Paestum train station you will be picked up for your private transfer to your hotel near the world famous Temples of Paestum. Your bicycles will be waiting for you at the hotel. Alternatively you can pick up your bikes yourself and ride to your hotel. This short trip takes you through part of the River Sele plain and past the temples and city walls of Greek Paestum. Your luggage will be transported to the hotel for you. You can take your bikes down to the beach for a quick dip before turning in and getting settled in at the hotel right next to the archaeological site. Half Board: Enjoy dinner based on local specialties in your hotel restaurant. Your ride is through the ancient territory of the Greek town of Paestum. You can opt for a relaxed ride through the plain, or a longer and harder tour taking you to some charming medieval hamlets in the foothills - offering some amazing views. Before setting off you can visit the temples and the museum of the UNESCO World Heritage site of Paestum and its world-famous Doric temples. Here you will admire not only the three temples, but also other monuments including the amphitheatre, the ‘Heroon’ tomb, several Greek and Roman houses and one of the towns’ impressive gates. In the local museum you can see the exemplary collection of prehistoric utensils, Greek vases and Roman sculptures. Absolutely not to miss is the so-called ‘Tomba del Tuffatore’ (Diver’s Tomb), a rare example of Greek funeral painting. Lunch can be taken at a local buffalo farm where you can taste delicious and genuine fresh mozzarella. 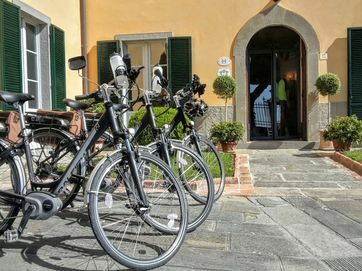 Your cycling trip will take you through the plain to the Sele River and past the ‘Capo di Fiume’ karst springs to the villages of Giugnano and Cicerale (optional) and back down again to your hotel. Dinner is on the premises of your hotel tonight. After dinner you can opt to make another short stroll past the temples and perhaps grab a gelato. Today you will leave the Paestum plain for a first taste of the real Cilento. 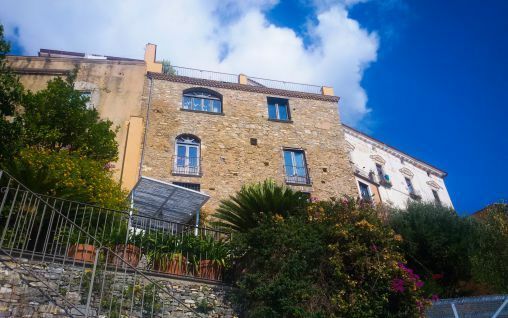 The cycle route takes you on quiet roads through fragrant Mediterranean maquis and shady olive groves up into the coastal hills above the town of Agropoli, and down again to the coastal village of San Marco di Castellabate. From your hotel you head for the villages of Prignano and Torchiara, beautifully situated on the lush green slopes overlooking the Cilento coast. Here you can take your time for a stroll or pause to fill up your water bottles and observe peaceful village life. From Torchiara continue to the villages of Laureana and Vatolla where a visit of the 16th-century Palazzo Vargas is a must. 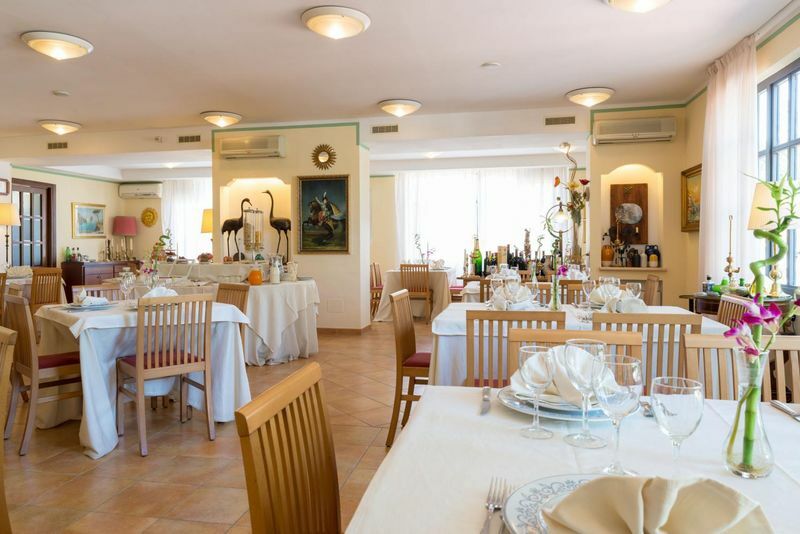 The road now dips down, taking you to the seaside resort of Santa Maria di Castellabate. 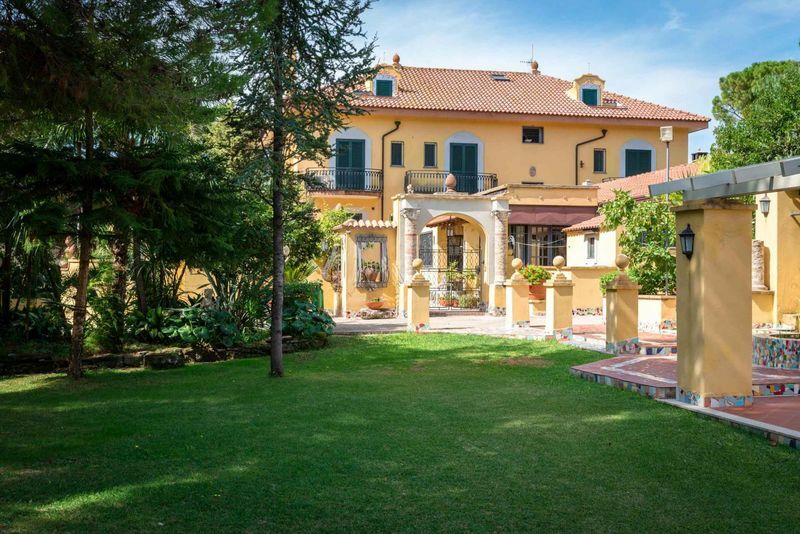 Along this stretch you will enjoy some wonderful views of the Tresino peninsula to your right and Castellabate to your left. A short stretch of road along the coast brings you to San Marco di Castellabate, renowned for its tiny port where able craftsmen continue a centuries-old tradition of building wooden boats by hand. After arriving at your hotel and settling in, you can either cycle or walk the short path along the coast to the wonderful little islet of Leucosia, situated in the marine reserve of Punta Licosa, or take a stroll through the centre of town for a pre-dinner aperitif at one of the local bars. Half Board: Dinner is included tonight. Today’s ride starts with a long and winding climb up to the beautifully located town of Castellabate, once a fortified stronghold offering refuge to the local peasants. Here you can take some time to rest and visit the medieval castle, from which you enjoy a splendid view of the coastal hamlets of San Marco and Santa Maria. You then climb further up to Perdifumo and Mercato Cilento, after which your circumnavigation of Monte Stella begins. Along the route your view reaches as far as the Amalfi Coast and Capri, while on clear days it may even be possible to see all the way to Sicily! During this part of your trip you will pass through the exquisite medieval hamlets of Celso, Galdo, Stella Cilento, San Mauro and Rocca Cilento. 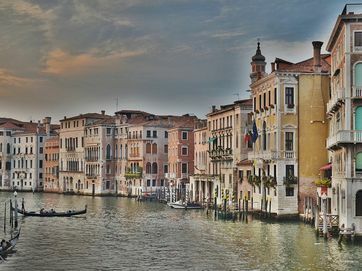 Each of them merits a stopover to sample their honest simplicity and quiet peace, best savoured sat at the local bar sipping an Italian coffee. The easy roads here pass through chestnut forests, opening up now and then to wonderful views of the inland Cilento, reaching as far as the Alburni and Cervati mountain ranges. At the end of the day you have the choice of turning back again to San Marco by Castellabate, or opt for a slightly longer route that takes you down to the fishing village of Agnone and then along the coast to San Marco. After arriving at your hotel again, it is only a short walk down to the beach for a well-deserved relaxing swim. After leaving San Marco you will head south on the coastal road towards the Alento river plain. A short ascent takes you through Mediterranean maquis and pine woods to the ‘Ripe Rosse’ or Red Rocks. You then whizz down to the coastal hamlet of Acciaroli, where back in 1952 Ernest Hemingway spent his holidays and (some say) was inspired to write ‘The Old Man and the Sea’. Some of the village’s elders still remember having met the great author and may be willing to tell you an interesting tale or two. In any case Acciaroli fully merits a stop and a quiet stroll around its little port and town centre. Slightly further along the coast you pass through the fishing village of Pioppi, another delightful little town. Here you will find a small Sea Life Museum dedicated to the local marine fauna and flora. 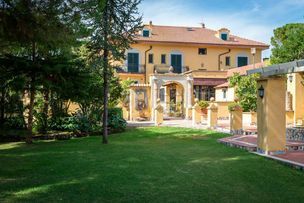 Pioppi is also famous as the second home of the American professor Ancel Keys, father of the so-called Mediterranean Diet. After visiting the museum you have time for a quick coffee at the seafront before cycling on. The coastal road then takes you to Casalvelino Marina, and through the plain of the Alento River to the Greek and Roman site of Velia, home to the philosophers Zenon and Parmenides, and cradle of one of Europe’s most ancient schools of medicine. You can leave your bikes at the entrance and explore the amazing site. From Velia you’ll have a last steep climb to go: up to the old village of Ascea, dominating the coast from above. From Ascea you’ll follow a stunning coastal route the hilltop village of Pisciotta, one of the best preserved medieval villages of the area, where you settle for the night. Half Board: Dinner is in one of the finest restaurants in the local area. Note: In you would prefer to end today on the coast, you can opt to ride on a few miles – all downhill - to the beautiful harbour of Palinuro. During today’s round trip you will discover the largely unspoilt and often rough landscape between Ceraso, Pisciotta and Ascea. Here few tourists ever set foot, even during the busy summer season, and you are certain to have the quiet roads and peaceful villages all to yourself. From Pisciotta you return in a northern direction, first to Ascea and then down in the direction of Velia. If you didn't visit the archaeological site the day before now is the time to explore it. Amongst its remains one finds the celebrated ‘Porta Rosa’, one of the first examples of the use of the vault in Greek architecture. Other monuments worth exploring are the port, the Greek and Roman baths and the agora. The town's acropolis in medieval times has been reused as a local stronghold and preserves a magnificent medieval bastion. From Velia you will then head inland to the medieval hamlet of Ceraso with its characteristic ‘palazzi’ a little further inland. After visiting Ceraso – maybe you can take some time to have a cappuccino at the local bar – you continue through shady oak and chestnut forests to the tiny, wonderfully located villages of Santa Barbara, Mandia and Rodio high above the Cilento coast. 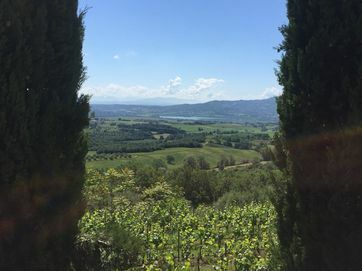 From Rodio you start descending back towards the coast, passing through groves of the enormous local olive trees, with views reaching from Monte Stella to the north and Capo Palinuro to the south. If you still feel fit you might go for a short extra loop to Marina di Pisciotta (and back up), otherwise you can ride directly back to Pisciotta and enjoy a drink in the village. Today is a relatively easy day, which will bring you along the panoramic coastal road to the southern part of the Cilento. The first few kilometres are like a warm-up ride with a gentle downhill bias all the way to the mythical headland of Capo Palinuro. This promontory, named after one of the helmsmen of the mythical hero Aeneas, is one of the most famous spots in the Cilento National Park. Its unique topography, made up of dazzlingly high rock cliffs full of sea grottos, amongst which is the stunning ‘Grotta Azzurra’, makes for a wonderful sight. You can cycle all the way through the village of Palinuro – make a scenic loop over the top of the cape and stop at the tiny port. Those who feel like it can make a short boat tour of the cape here, visiting the caves. Or you can opt to have a drink or go for a swim at the beautiful little beach. Then you’ll cycle on in eastern direction, a wonderful stretch along the southern coast of the Cilento National Park. Upon arrival in the lovely coastal town of Marina di Camerota, you can have a drink at the harbour and settle in your hotel. Half Board: You'll enjoy dinner in one of the local fish restaurants. After an early breakfast, you can start your cycling day with a short level stretch along the coast. But then you will have to start climbing! During this very scenic ascent you’ll enjoy an unparalleled view of one of the most unspoilt stretches of coastline in southern Italy, the 'Costa degli Infreschi'. 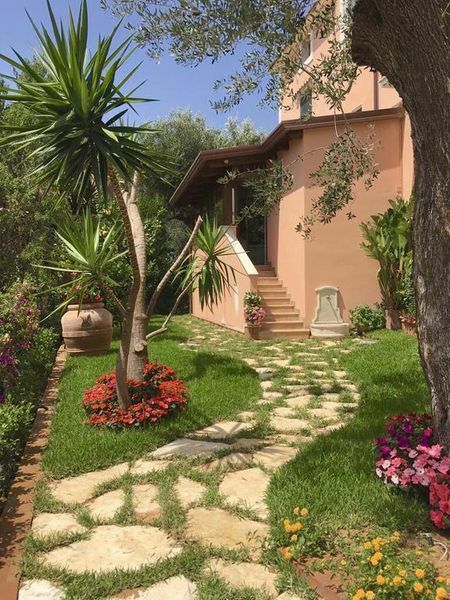 You pass through the little hamlet of Lentiscosa, and continue to the amazingly located village of San Giovanni a Piro, with spectacular views of the Gulf of Policastro on the one side and the impressive sheer cliffs of the mountain on the other. After lunch you continue the tour around the impressive Mt. Bulgheria. First with a short downhill section, and then 'levelish' through the villages of Bosco and Acquavena, keeping the impressive limestone crags of Monte Bulgheria to your left. After reaching the valley of the Mingardo River you can continue for a short visit to the charming village of Roccagloriosa, nestled on a rocky hill high above the valley floor. After a stroll and perhaps a drink in the village square, you then continue downhill, to the entrance of the impressive Mingardo canyon, dominated by the abandoned medieval village of San Severino. You’ll return to the coast via the Mingardo canyonand then cycle the coastal route back to your hotel. The Cilento part of your tour ends in Marina di Camerota after breakfast today. A private transfer (included) takes you to the train station, from where you travel back to Salerno. You will take the boat to Amalfi (the harbour of Salerno is very close to the train station) and enjoy great views of the Amalfi Coast. 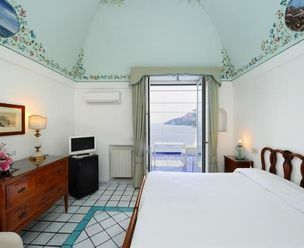 The famous coastal resort of Amalfi is the capital city of the Coast, and located in its very heart, so everything can easily be discovered from here. You may wish to explore the charming town centre or to enjoy a refreshing swim to wash off the weariness of the journey. 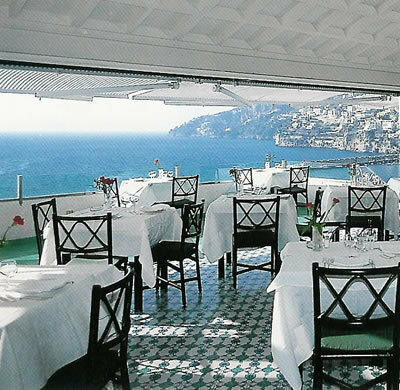 Half Board: Dinner is included tonight at an exceptional Amalfi restaurant. The landscape of the Costiera Amalfitana is immensely varied and surrounded by infinite ever-changing views. Along the coast it can be typically Mediterranean, with numerous species of wild perfumed herbs, myrtle shrubs, thyme, rosemary and mastic trees. Head out on a local bus up to the charming historic village of Ravello. The village boasts a very interesting history, and many medieval monuments, but also offers beautiful views over the Amalfi Coast. The French novelist André Gide once described the village as being ‘closer to the sky than the sea’. Take your time to stroll through the village, before starting the walk back down to the coast. Your path will pass the hamlet of Castiglione, through vineyards and lemon groves, then down medieval steps to the beautiful little village of Atrani. This is one of the best preserved villages on the coast, where you have the chance to look around the narrow little white streets of the village centre. 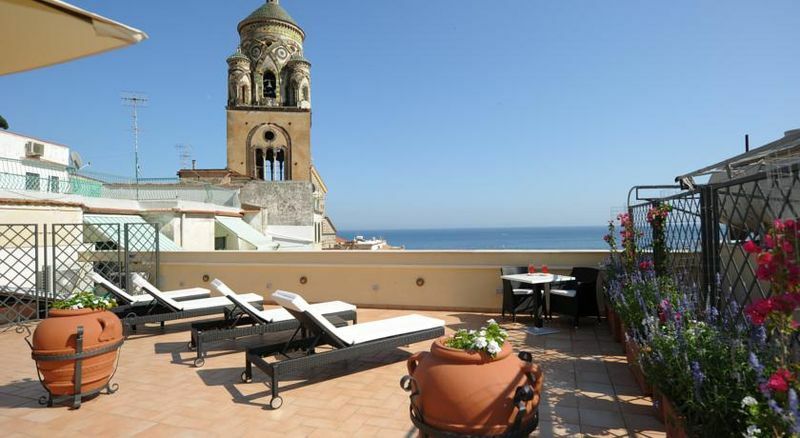 The last short stretch to Amalfi is very scenic and has beautiful viewpoints over the town centre. The 'Costiera Amalfitana' has the reputation as Europe’s most dramatic stretch of coastline! You'll take a local bus up to the small village of Bomerano, on the Agerola high plain. This is the of the famous ‘Sentiero degli Dei’ - ‘Footpath of the Gods’, one of Italy’s most famous footpaths, and certainly a walk with unrivalled views. 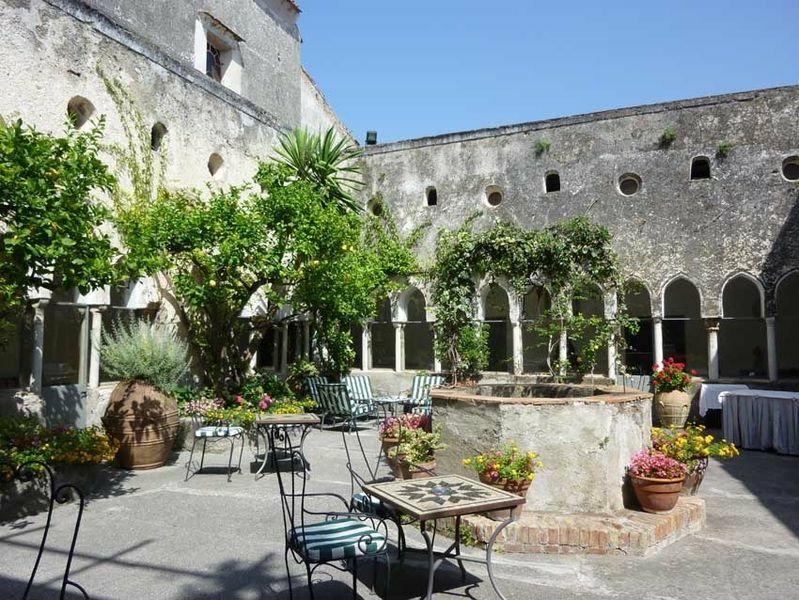 After a very panoramic stretch with views over the whole Amalfi Coast, stretching out as far as the island of Capri, you reach the junction for the monastery of San Domenico, set in stupendous scenery, dominating the coast from its hilltop (optional detour along a medieval pilgrim route). You then continue on a more or less level path through spectacular scenery with bizarre rock formations and luxurious vegetation. Here the ‘Sentiero degli Dei’ really lives up to its name as you enjoy more stunning and spectacular views. 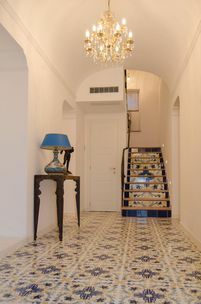 You arrive in the little village of Montepertuso, from where it is a short walk down to Positano, considered to be one of Italy’s most beautiful villages, and certainly one of the pearls of the Amalfi Coast. Stroll through its alleys, relax in a cafe or enjoy a swim at the large beach, before taking the boat back to Amalfi in the evening. Note: The 'Path of the Gods' is one of the most famous walking paths in Italy. 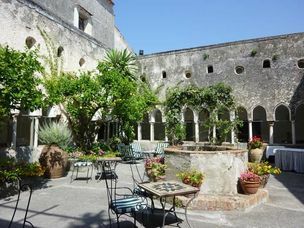 If you would prefer a quieter traiI (or to extend your stay in Amalfi by an extra day) we can offer the following alternative trail. Today you can enjoy a beautiful walk setting out directly from your hotel in Amalfi town. 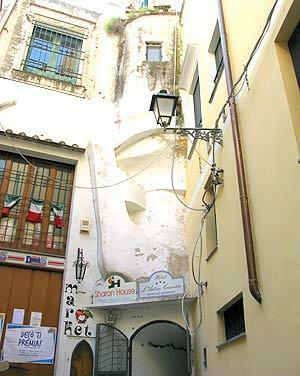 Explore the quiet little back alleys of Amalfi, where you can still sense the Moorish influences. An ancient flight of steps then takes you up towards the impressive limestone cliffs and to the little village of Pontone, part of the medieval defence system of the town of Amalfi. 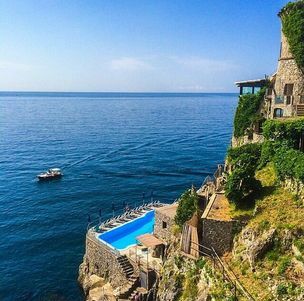 Head to the marvellous Torre dello Ziro, located on a narrow ridge with unforgettable views of Amalfi to one side and Atrani to the other. Then find yourself a picnic spot and enjoy the views. Your trail winds on through the charming village of Pontone and into the ‘Valle dei Mulini’ - 'Valley of the Mills'. Discover the ruins of Europe’s most ancient paper mills, dating back to the 11th century. The footpath then runs alongside the course of a river. If you feel energetic you can take a detour deeper into the valley underneath towering cliffs and admire a number of beautiful waterfalls. Then you walk back down to Amalfi and the scenery will change from the verdant green of the valley to lemon groves and maquis. Depending what time you return you'll have time in the afternoon to simply relax. After breakfast we say “arrivederci” and you return by train, bus or boat to Naples (airport). You have the possibility of paying a visit to the world-famous archaeological museum in Naples, where all the artefacts from Pompeii and Herculaneum are displayed, and/or the equally wonderful Capodimonte museum. It is also possible to make a day trip to Pompeii. This is a moderate tour which is suitable for all those who have some experience of bicycle touring and are reasonably fit. On some of the inland stretches you may encounter some steeper climbs. Average cycling times: approx. 5-6 hours each day. The recommended walks are on good paths, some of them just recently restored by the local authorities. Parts of the path are waymarked. Elsewhere you have to follow the route notes provided together with detailed maps. Average walking times: approx. 4 - 5 hours each day. Half Board: Enjoy a dinner based on local specialties in the hotel restaurant. Half Board: You’ll enjoy dinner in one of the finest restaurants in the local area. Half Board: Dinner in one of the local fish restaurants. Note: These are the recommended hotel options for this tour. Our experts will tailor make your holiday, so please call to discuss your exact requirements and preferences. 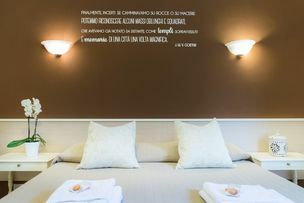 A small 'villa hotel' located in the countryside facing the walls of ancient Paestum. 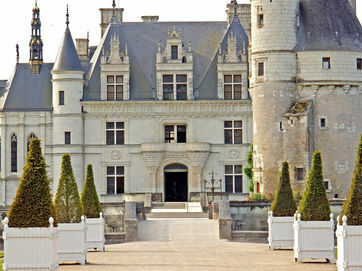 The hotel is set in a garden of two hectares. It is a lovely place to relax. The large pool swimming pool has an outdoor bar service and is equipped with comfortable deckchairs and umbrellas. The hotel has a restaurant serving Neapolitain cuisine. 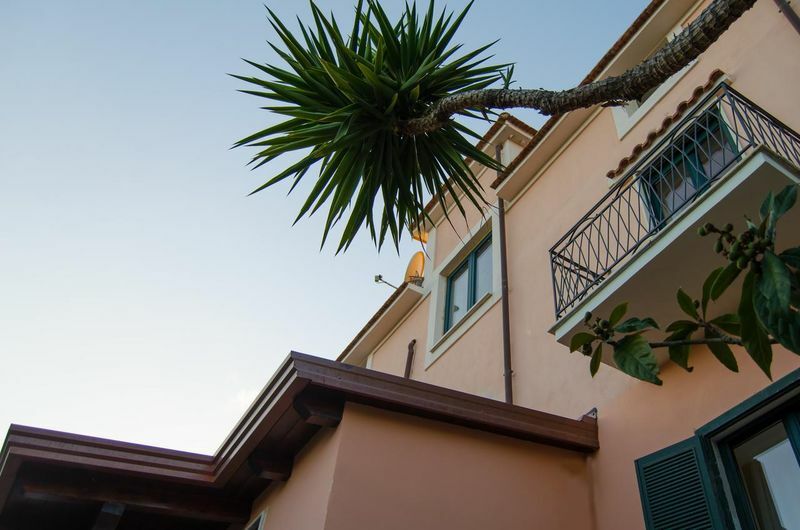 The Hotel Hermitage is set in lovely surroundings just 1,000 yards from the sea and surrounded by the Parco Nazionale del Cilento e del Vallo di Diano Park. It offers a swimming pool and a lovely sun terrace. 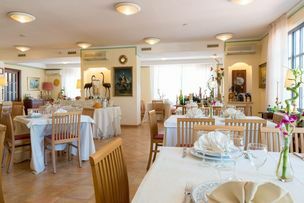 The restaurant specialises in Mediterranean cuisine. The Marulivo is a wonderfully unique design hotel. It was once a monastery and it dates back to the 14th century. 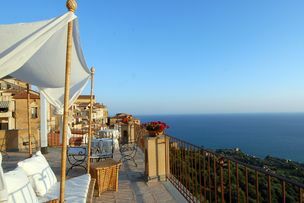 Enjoy the stunning views across the Palinuro coast from the panoramic terrace. Rooms are elegant and comfortable. The superior rooms and junior suite have a beautiful sea view from a french balcony. 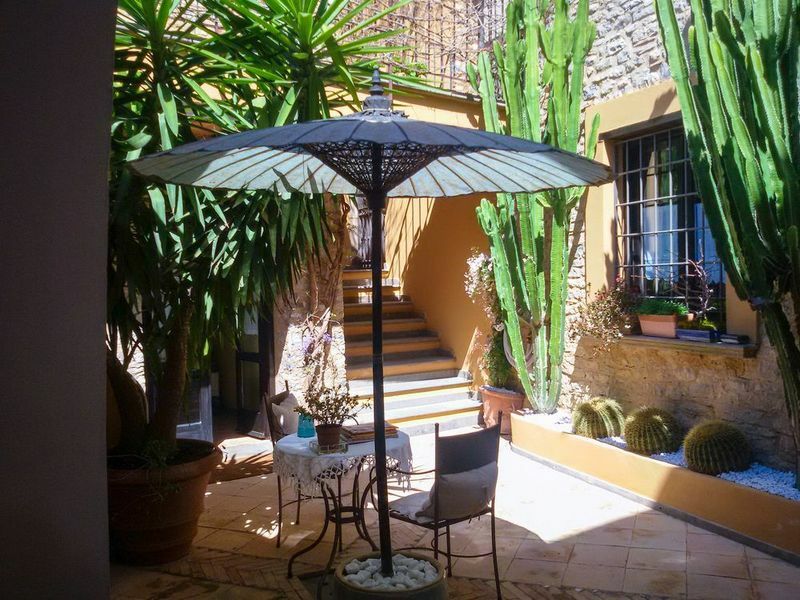 Casa di Paulo is a charming small boutique hotel. 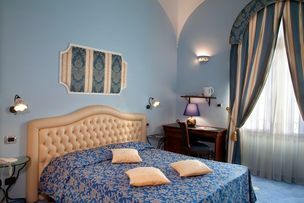 The hotel receives amazing reviews and combines comfort and elegance with a very high level of service. 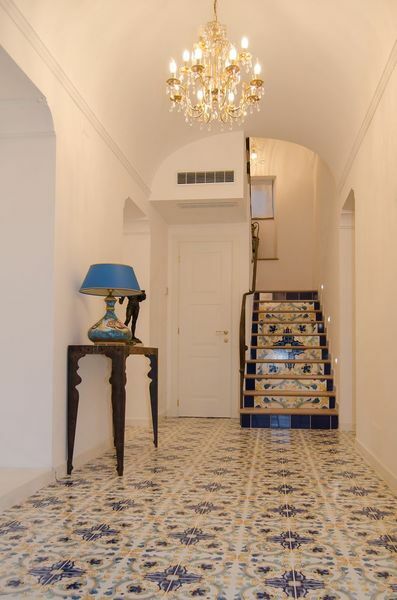 It is a beautiful house set in lovely gardens that has recently been restored and refurbished. 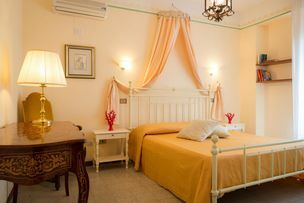 The L'Antico Convitto is a small family run hotel located right in the centre of Amalfi, just 50 metres from the Cathedral. It is a comfortably appointed and highly rated 3 star 'Albergo' with extremely friendly staff. Your hosts, Gennaro and Gabriella will make you feel at home. 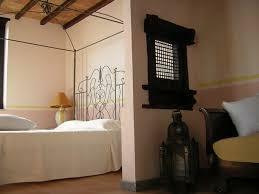 The rooms are lovely and best of all is the 4th floor open air terrace facing the ocean. We definitely recommend a glass of prosecco at sunset. Hotel Luna Convento is an upgrade option for the end of this tour and commands a stunning location in Amalfi. The hotel commands one of the best views you can imagine of the Amalfi Coast. 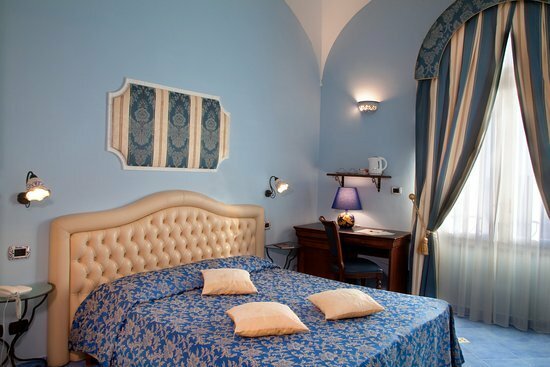 The comfortable guest rooms surround an ancient courtyard dating back to the 13th century when the hotel was once a convent that was founded in 1222 by San Francesco d'Assisi. 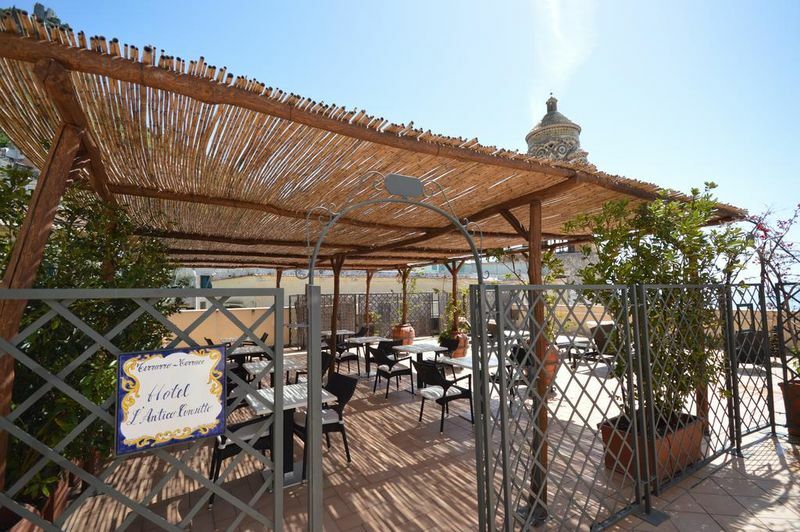 Hotel Luna Convento features a large outdoor pool and a reef, complete with sun loungers and umbrellas. At lunch and dinner you can enjoy local delicacies at the two restaurants, one overlooking the coast, the other in the ancient tower. Based on flights to and from Salerno airport. Prices are B&B with 5 evening meals. For childs prices, 10 night itinerary pricing or short break pricing, please contact one of our Activities Experts on 020 7471 7760.